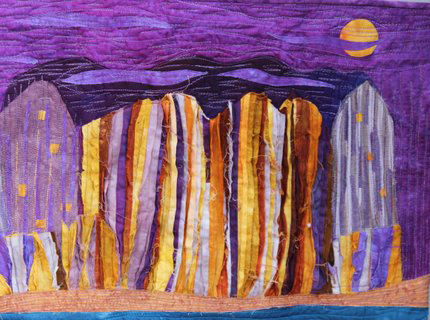 Inspiration for my quilts comes from the images in photos I have taken and images of nature. Seen through the lens of my imagination, I transfer them into fabric using raw-edge appliqué, enhanced by machine and hand stitching. 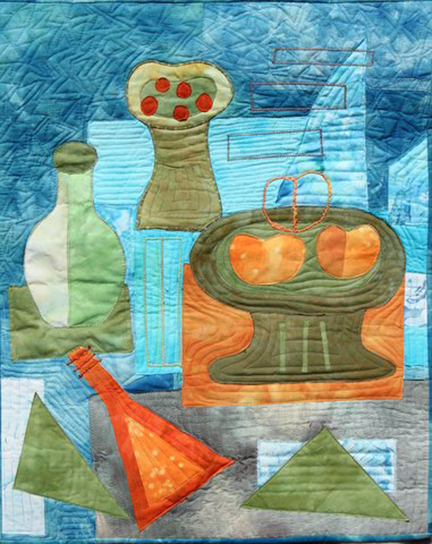 I collage, layer and blend elements of the design using commercial cottons, batiks, sheers and fabrics I hand dye or paint. My work has dimensionality, detail and shading from ornamental stitching, applied yarns, beads and other embellishments. I am not confined by the edges of my work. Some of my quilts have elements that extend beyond the limits of the edge, as my vision dictates.